Are the Orioles for real? 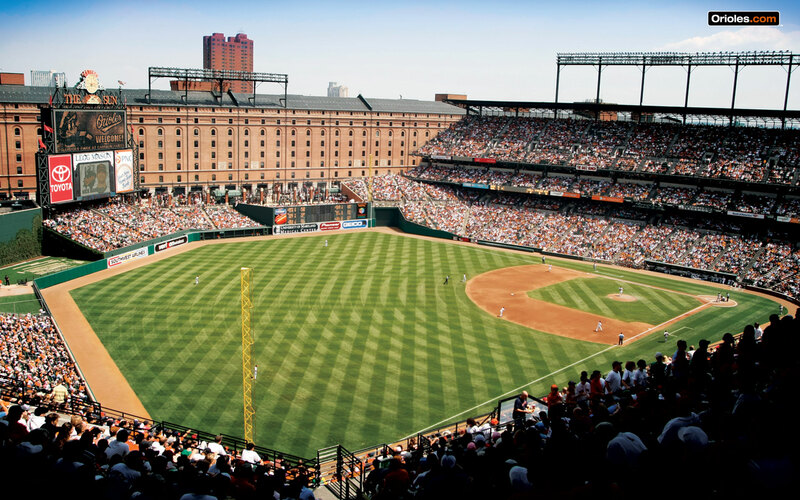 Are the Baltimore Orioles back? A 4-0 start has fans buzzing! It started with the surprising three game sweep of the Rays at Tropicana Field. Sure, Tampa isn’t the same team with the departure of Carl Crawford, Carlos Pena and Matt Garza. Throw in third baseman Evan Longoria on the disabled list and not much Devil remains. The Orioles returned to Baltimore for their home opener and kept it going. 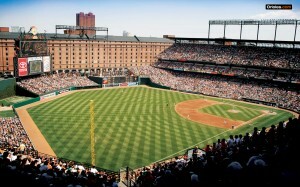 A sold out Camden Yards on hand to watch the Detroit Tigers go down. Thus far, the O’s have been doing it with pitching, something Baltimore has plenty of. As we told you in our draft previews, their starting pitching is loaded with potential breakout fantasy players. So far, the team ERA is 1.00! Opening Day starter Jeremy Guthrie who got things going with a gem is in the hospital with pneumonia, but he set the bar. Allowing only one run in each of their first four games, the Orioles become only the 2nd team in American League history to achieve such. Brian Matusz, thought by many to be the best O’s starter, went down with injury, no problem. Enter Zach Britton who looked Great! Get it…. Great Britton? Also dominating from the hill, fellow “Young Guns” Jake Arrieta and Chris Tillman. The Orioles are also getting timely hitting, led by Brian Roberts. The speedy second baseman bouncing back from an injury plagued 2010 campaign. Outfielder Nick Markakis is also getting it done early, both at the plate and with his glove. While the return of Roberts is huge, the Orioles are hoping for huge numbers from catcher Matt Wieters. The most hyped backstop entering the 2010 season, Wieters disappointed but appears to have taken the next step. Throw in exciting center fielder Adam Jones and left fielder Luke Scott and the Birds have more than enough hitting to support the emerging aces. Can Baltimore keep it going? Off season pickups of veterans Vladimir Guerrero, JJ Hardy, Derek Lee and Mark Reynolds are providing leadership and experience in the club house. There is also help down on the farm. Minor league play begins on Thursday, with the O’s Triple A affiliate in Norfolk with three hitters destined for the Yard this summer. First baseman Brandon Snyder, Third baseman Josh Bell and outfielder Nolan Reimold all figure in the Orioles plans. Troy Patton is ready and waiting should they need another arm. Staying in the minors, watch the progress of shortstop Manny Machado, the O’s top pick in the 2010 amateur draft is going to be a great one someday. The overwhelming reason the Orioles are back? Manager Buck Showalter. Since departing his gig on ESPN’s Baseball Tonight, Buck has the best record (38-23) over the last 61 games since he took the helm in August. Yes, better than Boston, the Yankees, Toronto and Tampa as well. Projected out over a 162 game season, Baltimore would win 101 games! With New York and Texas up next, we shall soon find out. Previous Previous post: Alex Gordon, Post Hype Sleeper?